Your plane has crashed on a lonely mountain. Your survival gear is gone, scattered all over the mountain. Recover it, and climb to the top. Survive. Directional buttons to move. Hold Z to see what you've collected. 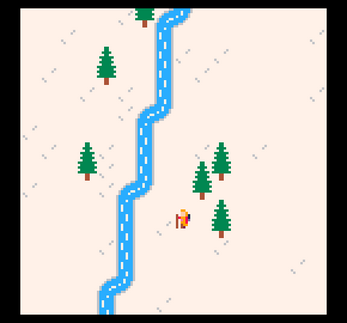 Inspired by Jukio Kallio's Famicase entry, 'Life On A Mountain'.